Way back in 1991, Portuguese-Argentinean businessman, Pedro Lavia, opened the doors to his dream park, Zoomarine Algarve. Anyone who went when it opened probably wouldn’t recognise it now as it keeps evolving and growing into its 26-hectare plot, making it the biggest theme park of its kind in Portugal. The team was the first to introduce dolphins to the country and, in 2002, opened the first marine species rehabilitation centre in Portugal, Porto d’Abrigo. Things were going swimmingly but Pedro wanted to keep on going and the park expanded in 2008 to include the very popular water park. Around six years later, the big push came, and Zoomarine Beach was born, complete with a wave pool, sandy beach area with loungers and surrounding slides to keep everyone entertained. In 2015 the top-rated pirate show called Pirate Bay came into the fold. Here, revellers can witness extraordinary acrobatic performances played out by the sword-wielding, eye-patch wearing pirates who act out a new show every year, full of hazardous stunts and merriment. 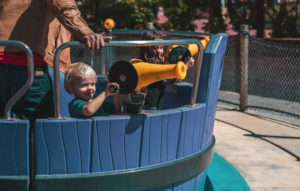 In 2017 the children’s play area, Treasure Island, was added to the ever-growing list of attractions and the most recent addition was being completed as we went to print, Jurassic River. Inspired by the popular Jurassic Park movie franchise, this attraction spans over half a kilometre of small rapids and bending rivers with fantastic scenery along the way, including dense jungle-like banks, a crashed plane and the jeep from the original film and lots of surprises around each corner. Massive dinosaurs are placed around the edge of the river and up in the surrounding hills. Expertly designed, you can’t really see too far ahead as you twist your way through the trail, which adds to the excitement when you suddenly find yourself under a waterfall or faced with a dinosaur who has a few tricks up its sleeve. 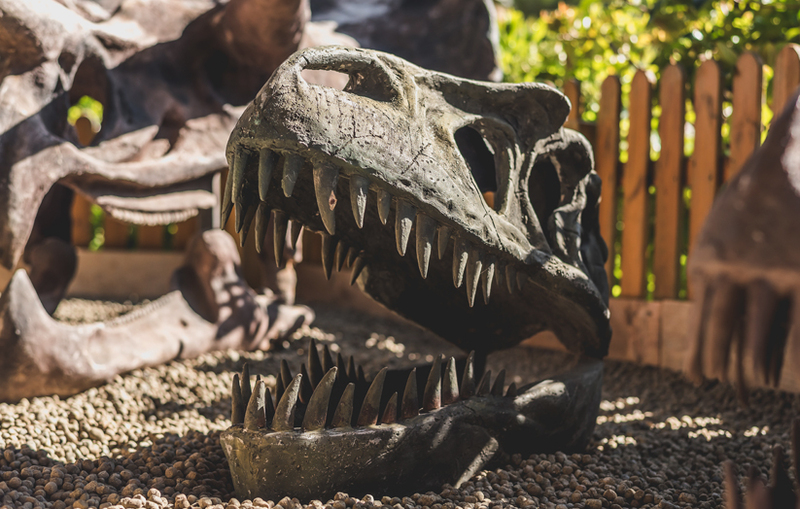 With some of the dinosaurs moving and spraying water and others strategically placed as props, the element of surprise is maintained throughout. The sea lion and seal enclosure is undergoing a massive facelift and will incorporate elements from these animals’ habitat, enriching the experience. Spectators will be able to witness the mammals in their natural environment around the time of the shows. Visitors can take to the sky on the giant wheel near the middle of the park, and enjoy a bird’s eye view over all of the attractions. 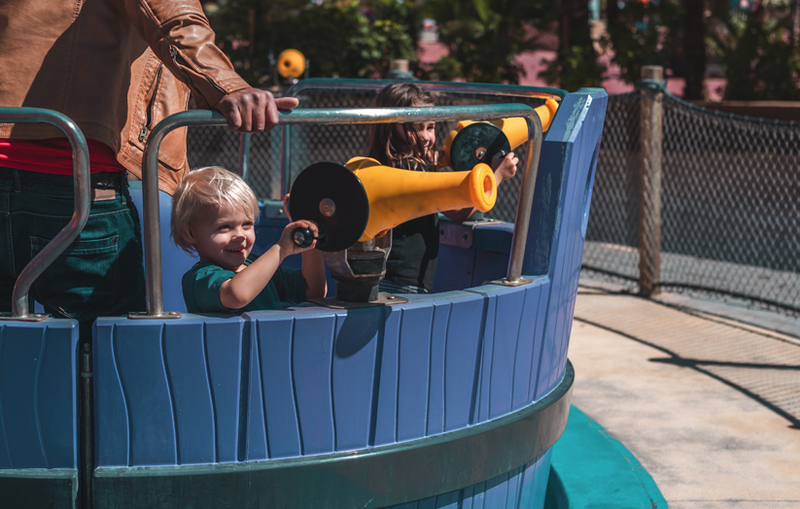 There’s also 4D cinema, a lovely carousel, a small but fast roller coaster, a swinging pirate ship, the very cute Zoomarine express and many water-themed attractions with three swimming pools and the famous beach. 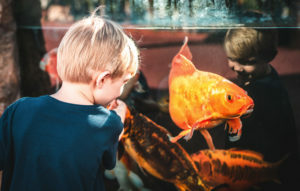 The park also offers fun and educational shows, such as the birds of prey and tropical birds performances, where the handlers explain a bit about each of the species and show them to the crowd. But, of course, Zoomarine is most famous for their dolphins. 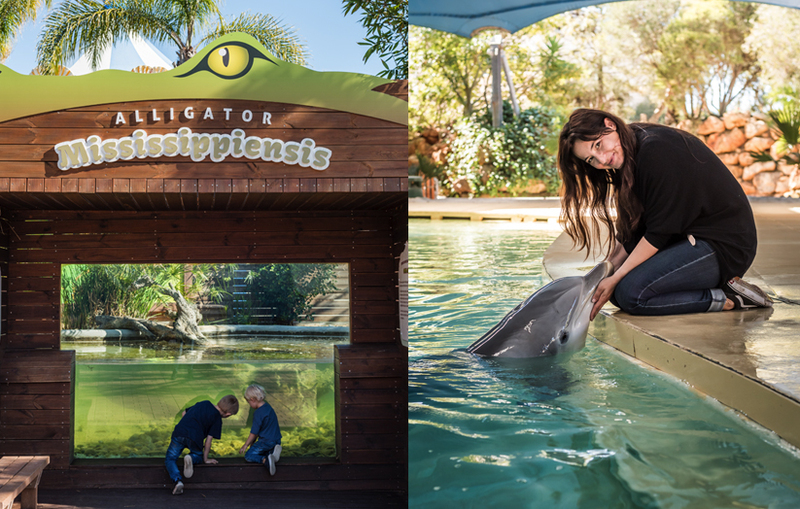 The park offers stunning dolphin shows where spectators can sit in the auditorium and enjoy the trainers explaining a bit about these beautiful creatures before the stars swim in and take their position. Lasting around 30 minutes, they are quite a spectacle with lots of interaction and solo performances. Zoomarine is also one of only two places in Europe where you can actually swim with these wonderful mammals. You can have a small interaction with a dolphin and a photoshoot, a full-on interactive swimming experience that sees people travelling from all over the world to participate, or even an underwater scuba experience. 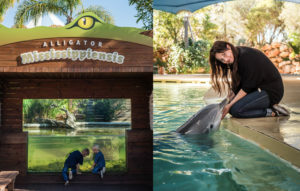 The team at Zoomarine are animal lovers, marine biologists and conservationists and, as such, they take great pride in making sure that all of the mammals, reptiles and birds are cared for and treated with respect. The development of the park and team is built around education, and they welcome school groups, nearly every day, to tell them about the various species that live there. Currently, 50% of the park is water-themed, which is great to battle the midday heat of the Algarve’s sunny weather. On the food front, Zoomarine has the traditional selection of water-park treats, such as burgers and hotdogs, along with healthier options like the eco food outlet, Captain’s Kitchen — where even the utensils are environmentally friendly — or the main food hall, where visitors can have a healthy salad and local dishes. A little insider tip to avoid the crowds — go on the weekend. It may sound strange, but it’s true. Historically, the park is busier during the week. You can also buy a second-day pass for only €8 to visit the park again within 10 days, just in case you couldn’t squeeze everything in.